Morocco and Chile agreed, on Monday in Rabat, to set up a free trade zone to boost win-win opportunities at the economic and trade levels. “We have decided to start studies aimed at determining means that would help to set up, on the short run, a free trade zone between Morocco and Chile,” Secretary General of the Foreign Ministry, Youssef Amrani, said at a joint press briefing with Chilean deputy Foreign Minister Fernando Shmidt Aristia, following bilateral political consultations held in Rabat. Morocco is keen to strive in order to develop commercial cooperation with Chile with a view to fostering the excellent political ties between Rabat and Santiago. During the talks, “we have emphasized, anew, not only the solidity of our relations, but also our resolve to explore new opportunities with an important southern American country,” Amrani added. At the bilateral level, the convergence of viewpoints on political issues, including the Sahara issues and other topics of shared interest, was highlighted. In this respect, Chilean official expressed his country’s support for the ongoing negotiation process and the UN resolutions, including the latest resolution 1979. Morocco and Chile “enjoy fruitful relations based on common values,” Shmidt Aristia said, voicing Chile’s willingness to reinforce the bilateral economic ties with the establishment of a free trade zone. The two parties also discussed cooperation prospects in the fields of renewable energy, he said. 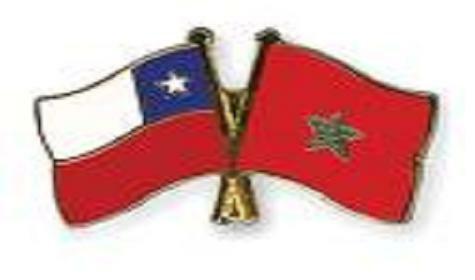 On the same occasion, the Chilean official congratulated Morocco for the recent appointment of Amrani Secretary General of the Union for the Mediterranean (UfM).